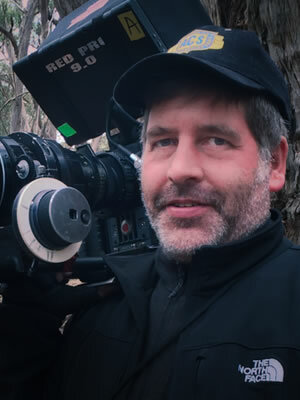 Jonathan (Jo) Rossiter ACS is recognised as Australasia’s leading miniatures and motion control cinematographer, bringing his innovative and dynamic aesthetic to the art of contemporary cinematography. He has artistically and technically contributed to over 500 TVC’s, multiple short films, television series, and feature films over his 30 year career. Jo’s extensive knowledge and experience with industry preferred camera systems, from Arri to Sony, and 35mm Film cameras, has delivered award winning content for clients from local, national, and international markets. In 2013 Jo was awarded the prestigious “Milli” award for “Australian Cinematographer of the Year” by the ACS for the highly acclaimed stop motion animated short film “Sleight Of Hand”. He has also collected 44 awards from the ACS, and 5 international awards. Jo is available for all your cinema graphical requirements whether it be an interview or an international TVC campaign. Jo is currently residing in Adelaide, but happy to travel interstate or internationally for work.